Wings are one of the characteristics of birds which set them apart from other animals. However these wings don’t function in every bird, in fact there are nearly 40 species of birds which can not fly. These birds are called flightless birds. These birds are believed to have lost their ability to fly while they evolved and they were able to survive because they resided in areas where there were least predators. Today most of these birds are found in the areas of Australia and New Zealand while some are also found in parts of Africa and South America. Unlike the flying birds, the flightless birds have a lesser developed keel (a breast bone to which wing muscles are attached) and they also have the vestigial wings. Ostrich or Struthio camelus is the largest and the fastest running bird on the planet. 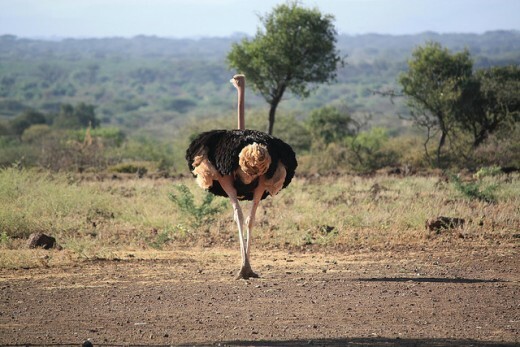 Ostriches belongs to Africa and in general are long necked and legged birds. 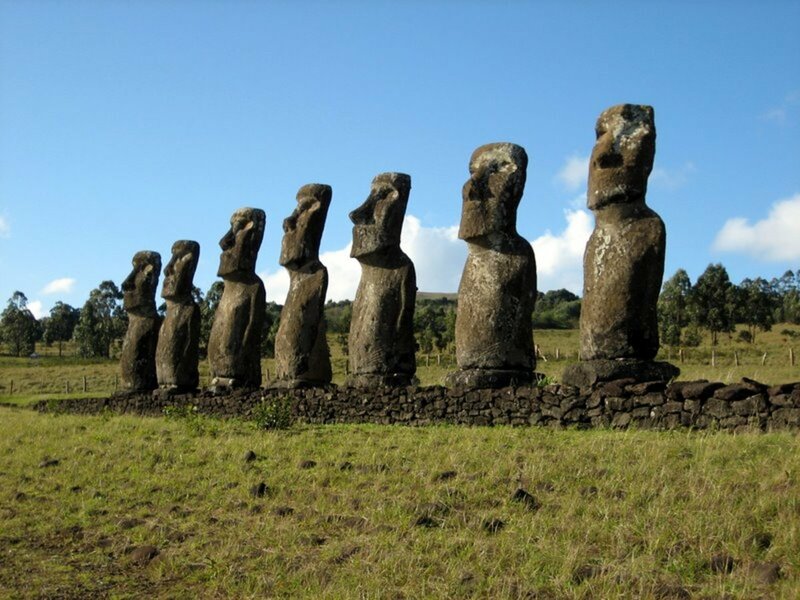 They can be as tall as 8ft and can weigh up to 181 kg. Their average running speed is 72 km/h making them one of the fastest running animals in general. The ostriches also lay the largest egg laid by any bird. Kakapos are large flightless parrots which are on the verge of extinction. These parrots are the only flightless parrots and they also happen to be the heaviest of all the other types of parrots. 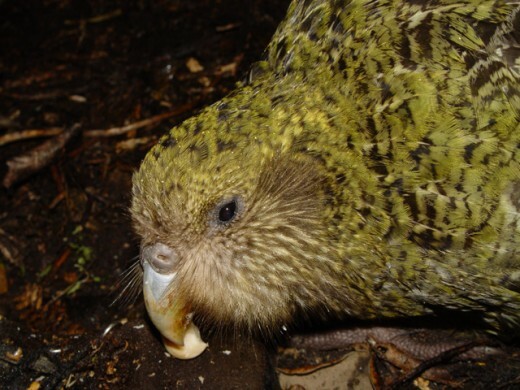 Kakapos are mostly found in New Zealand where special programs regarding their safety are being held. What's more enjoyable than waking up early in the morning to the chirping of birds, the sound that relaxes your mind and you have serene thoughts. Extinction is a normal process in the course of evolution. Species have slowly evolved and disappeared throughout geologic time as the result of climate changes and the inability to adapt to survive. An organism whose population is coming to an end is referred to as endangered specie. These include various plants and animals dying out ever year due to many factors caused by the human beings. Sad but true, that we humans are the biggest enemies of the nature that surrounds us. We with our actions are destroying the mother earth. 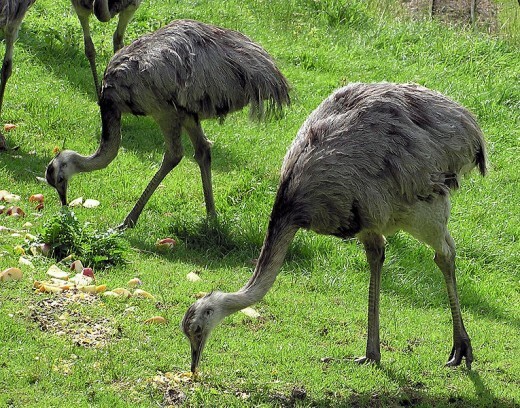 Rheas are South or North American flightless birds which are some what physically similar to ostriches only they are smaller as compared to ostriches. There are two major species of Rheas: Rhea Americana and Darwin’s Rhea. The rhea Americana or the common rhea is found in Argentina and Brazil. These rheas are mostly 5 ft tall and are the largest birds in the Americas. The Darwin’s rheas which are also called Pterocnemia pennata mostly belong to southern Peru and the Patagonian region of Argentina. These birds are smaller than the Rhea Americana. They have a brown plumage with white tips. Emus or Dromaius novaehollandiae are single specie found in open dry plains of Australia. 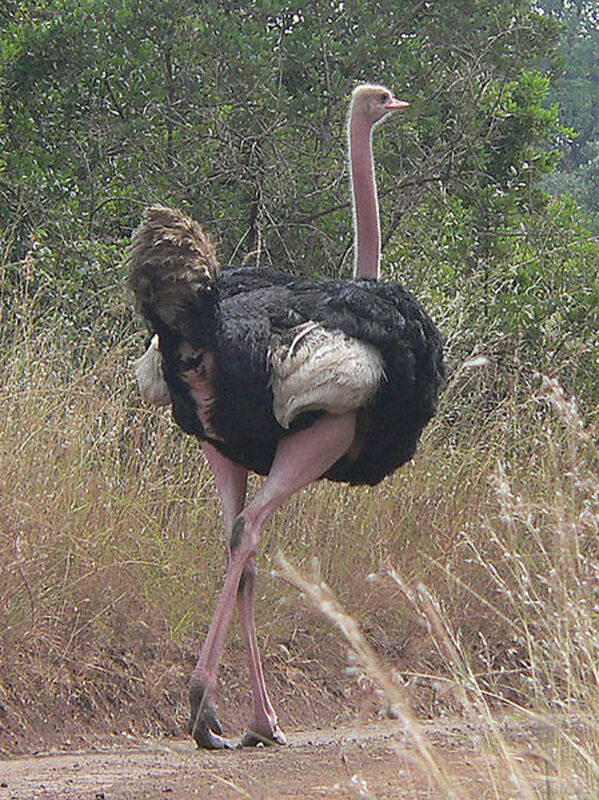 These birds too are also some what physically similar to ostrich, only they lack a long neck. 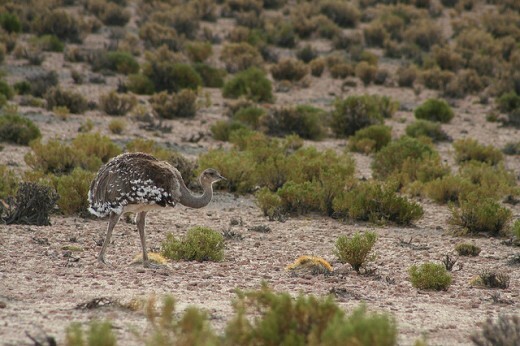 These birds have an average height of 5-6 ft which an intermediate height between that of ostriches and rheas. 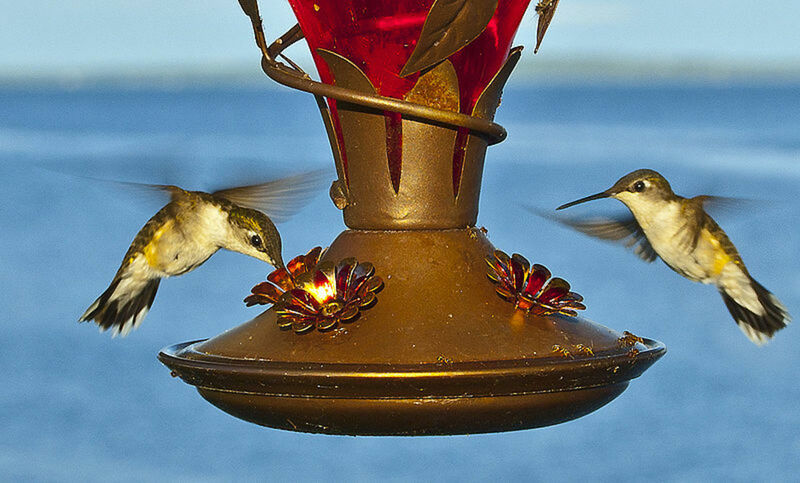 These birds have a black head, long brown body feathers and white upper legs. The most distinguishing feature of this bird is that its feathers are set in a way that two soft feathers grow out of a single quill. They also are recognized by their plumage which droops downwards from a central part along its back. Although they belong to dry plains of Australia they migrate to south during the winters. The emus’ when travel, communicate with each other by their powerful voices. 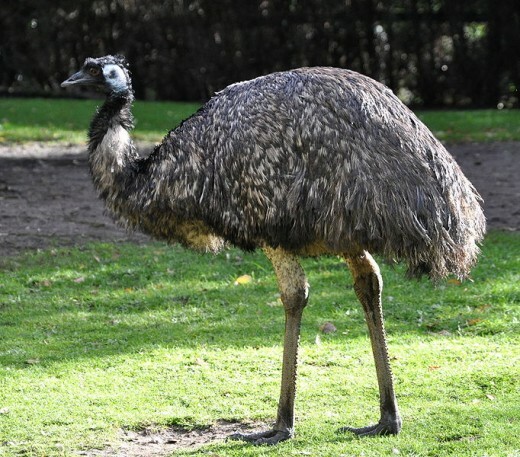 In past there were many species of emus found but now only one type of these birds is found. Kiwis are very small flight less birds which typically belong to the forests of New Zealand. 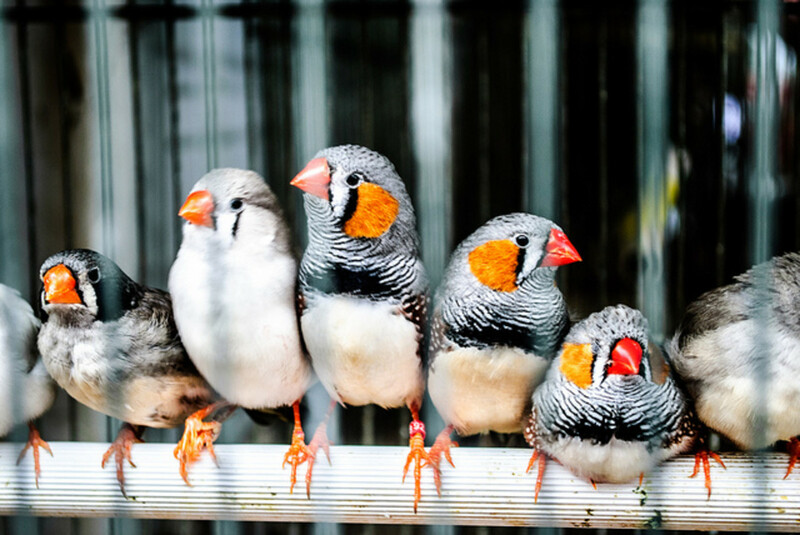 The average height of these birds is 35-55 cm and their average weight is about 1.5-4 kg. Kiwis have a round body with coarse and rudimentary wings. Since they lack secondary after shaft structures their feathers are hair like in appearance. The kiwis have a long flexible bill at end of which nostrils are present. 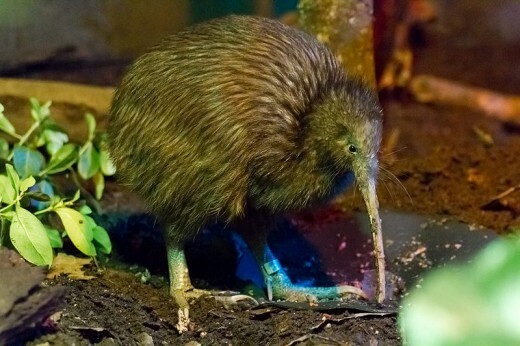 Kiwis have a strong sense of smell which they use in the detection of their invertebrate preys. Their plumage is mostly shaggy and can be brown or gray. The female kiwis are comparatively larger than the male kiwis. There are in total three different species of kiwis. Penguins are flightless birds which mostly belong to Antarctic region or more specifically in extreme cold environments. Penguins in general have a black and white body coloring and their height and weight may vary from specie to specie. 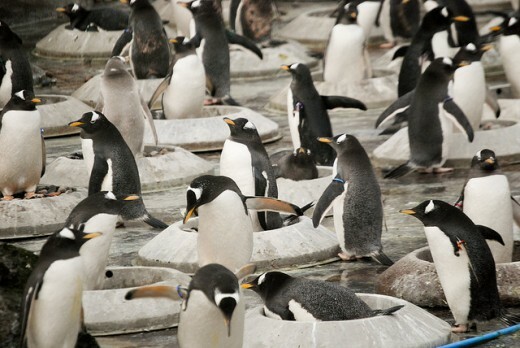 There are many different species of penguins which have some characters common such as: all penguins are excellent swimmers, all penguins have an excess body fat and all penguins wobble. Great article, Hassam. Flightless birds are fascinating because they seem to go against what we normally think when we imagine a bird. My favourite flightless bird is the extinct giant moa from New Zealand, the tallest bird that ever lived, over ten feet high. 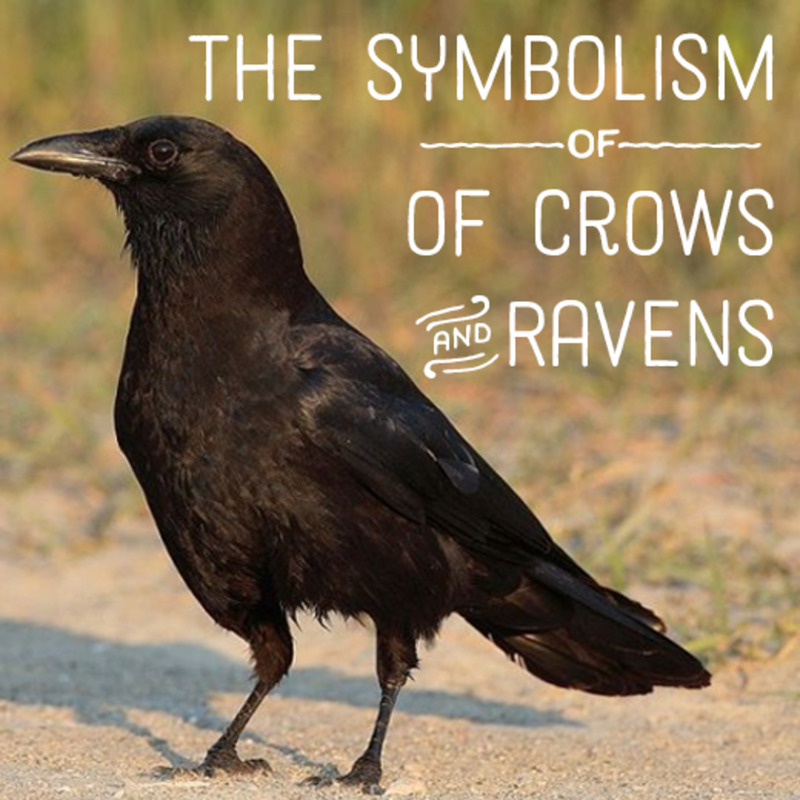 "These birds are believed to have lost their ability to fly while they evolved and they were able to survive because they resided in areas where there were least predators. " If evolution takes millions of years, why didn't some predators arise to take advantage of the flightless birds? Funny article,i love this work,thanks for sharing. I love nature and I am always fascinated by birds. Good Hub with very beautiful pictures. I love any article to do with wildlife, nature etc so this one was a treat for me.